Find tickets and information for the Equality Illinois 2017 Gala on Feb. 4, 2017 HERE. 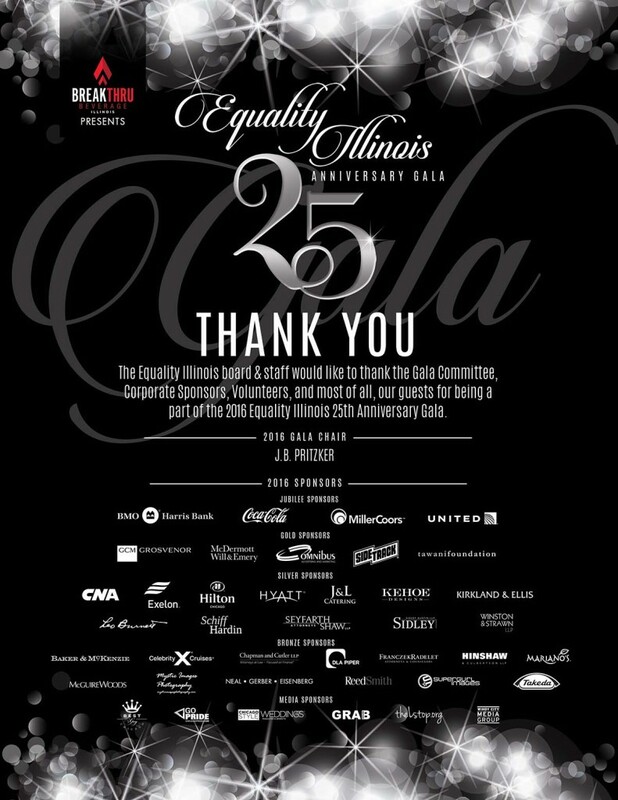 The 2016 Equality Illinois Jubilee Gala, Feb. 6, 2016 in the Hilton Chicago, celebrated the organization’s 25th Anniversary year of seeking fair and equal treatment for LGBT Illinoisans. View and enjoy these videos and photographs of the exciting and fun evening. Photo booth pictures (available for viewing and free download) – Alfresco Photo Booth Co.